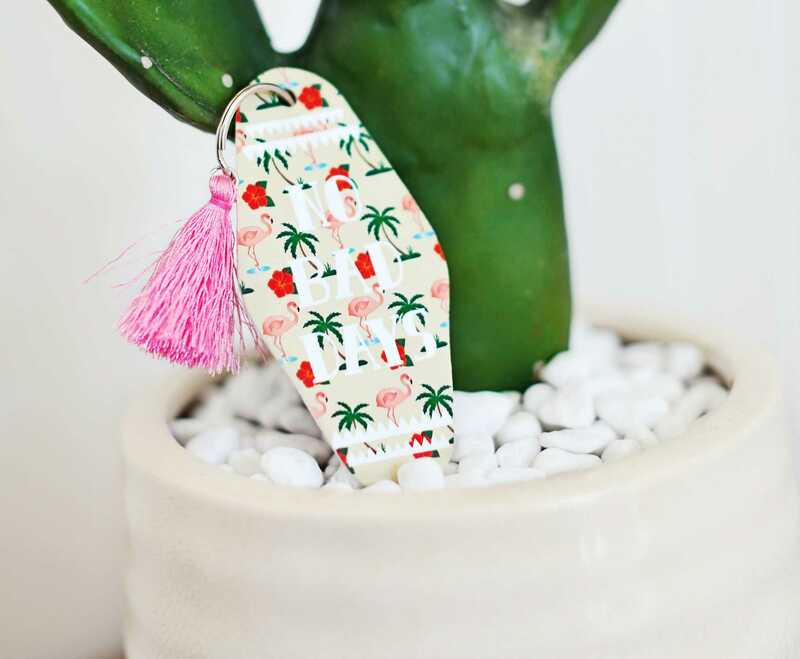 I’ve been obsessed with vintage motel key chains lately, and what better way to make a custom one with Silhouette’s shrink plastic. 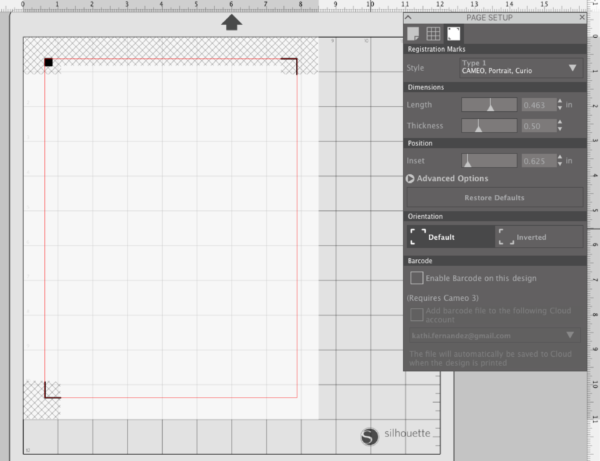 Open the Page Setup panel and create an 8.5 inch by 11 inch design space. Then add registration marks to the page. 3. Look for an image of a motel key chain on the internet and save it onto your desktop computer. 4. 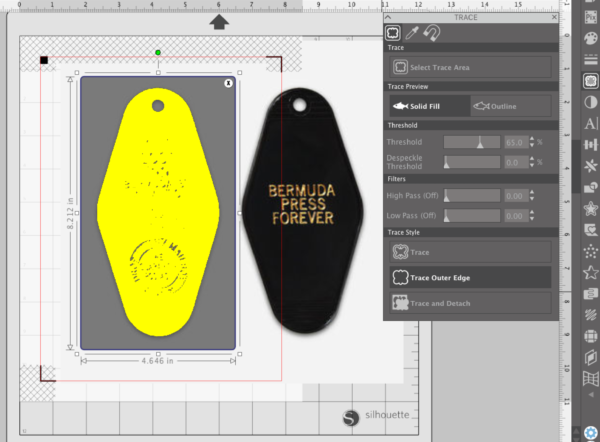 Place the key chain image onto your design space. 5. 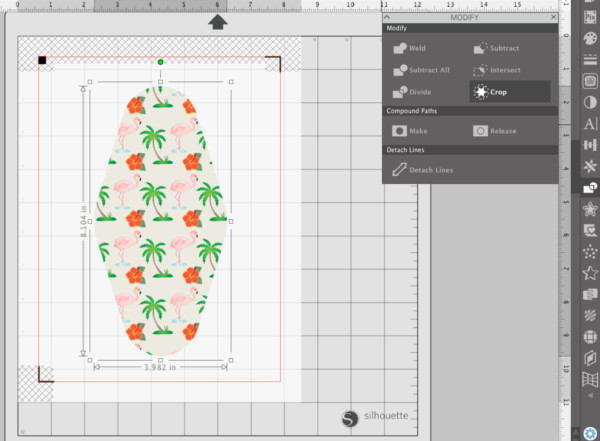 Using the Tracing tool located on the Trace panel, trace the motel key chain image and select “Trace Outer Edge.” You can watch this video if you want to learn more about how to trace images. 6. Delete the key chain picture and leave just the outline. 7. Size the shape a little larger. You want it to almost take up the entire design space. Remember that the design will shrink significantly because you are going to use the shrink plastic material. 8. 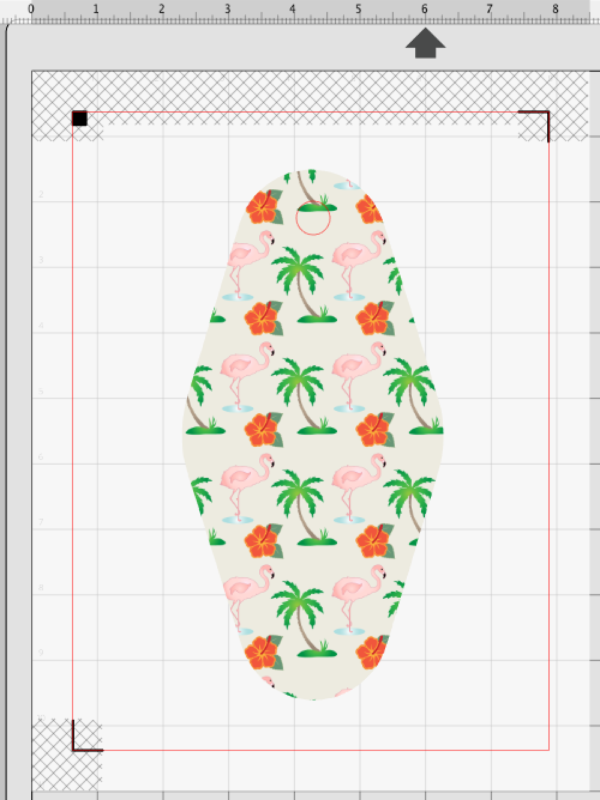 Place the flamingo paper design onto the motel keychain outline. Make sure you cover the entire outline. 9. Click on the Modify panel and choose Crop. 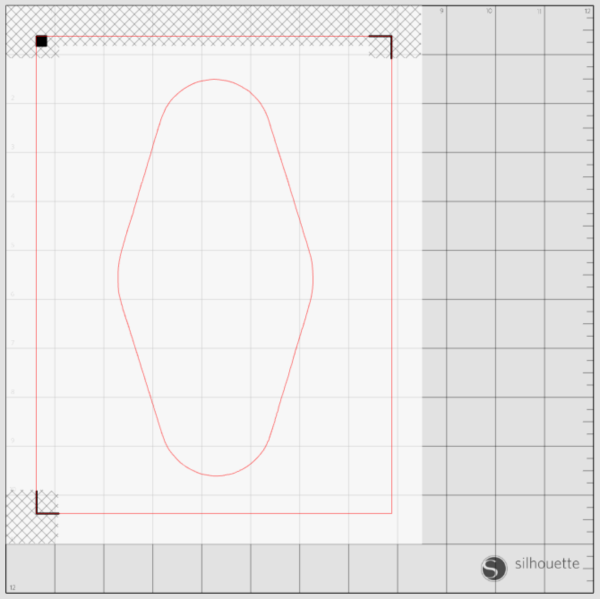 This will only leave the design on the outline. 10. 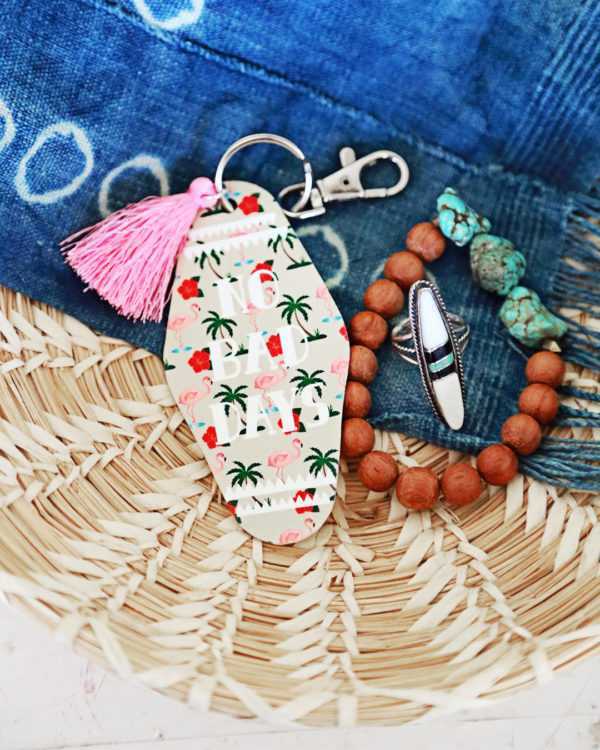 Draw a circle at the top of the design for the key ring to go through. 11. If you want, you can add borders or wording at this point. 1. Make sure you read the directions on the Silhouette Shrink Plastic before you start. If you have never used this media before here is a detailed tutorial on the shrink plastic process. 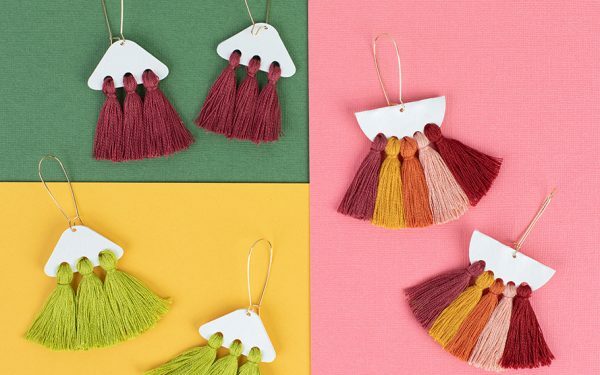 Finally, attach the key chain ring and a tassel. I hope this gives you guys a little more courage to use the shrink plastic material. It is truly amazing and fun for the kids.